The team working on the the DBA Frequently Asked Question file have just released an update. This update provides three new entries. These include clarifications of the shooting procedure as well as calculating flee distances. Finally, for those that use Big Battle DBA the team also have provided clarification on army list selection. The most up to date file, available as a PDF, can be found in the “DBA Resources” section of this site. Because of the size of DBA games, and that you can more easily build armies in historical pairs, it is relatively straightforward to link several battles together to form a linear or narrative campaign. Over the last couple of weeks, as time has allowed, my son and I traced the campaigns of Pyrrhus of Epirus in Italy and Sicily using his and my own armies. As way of a refresher Pyrrhus entered Southern Italy in 280 BC with an Epeirot army to support Tarentum against the growing power of Rome. Pyrrhus then fought the battles of Heraclea (280 BC) and Asculum (279 BC) where he secured a very costly victory. By 277 BC Pyrrhus had quit Italy and was campaigning in Sicily where he hoped to carve out a new kingdom. But as the campaign against the Carthaginians stalled he departed for Italy once again. Then in 275 BC Pyrrhus faced the Romans at Beneventum, but was defeated in battle. Unable to overcome Rome he finally departed to continue his wars elsewhere. For our purposes we decided on five battles with the first two or three against the Romans. These would decide the conquest of Italy. If the first two were defeats, or costly victories for the Epeirots, Pyrrhus would move to Sicily for two more battles before returning to Italy for a final battle. If however the first two battles against the Romans were victories Pyrrhus would fight a third battle against the Romans potentially securing his Italian conquests before moving to Sicily. The army of Pyrrhus would be represented by the standard DBA list (II/28b). Pyrrhus would select a smaller phalanx and supplement his army with Italiot and Sicilian hoplites. While not perfectly historic the Romans would be represented by the Polybian list (II/33) in all three battles, this would at least allow Joel to use his own Romans which would of course fight with great determination. The Carthaginians would be represented by the Early Carthaginian list (I/61b) and in both battles the Carthaginian player selected to field heavy chariots, though less chariots and more cavalry may have been more realistic. In the first battle in 280 BC near Heraclea Pyrrhus deployed his army with a strong centre and his elephants on the immediate left of the phalanx and his left extended further by a significant portion of his mounted. While Pyrrhus and his companions formed on the right he ordered a swift attack on the left in an attempt to destroy the Roman right before it was fully deployed. Unfortunately before the Epeirot line engaged the Roman right the Romans had completed their deployment and fought back with great determination. The resulting battle hung in the balance for some time. However, despite heavy Epeirot casualties the Roman army eventually collapsed and Pyrrhus secured a narrow victory. Below, the Epeirot left and centre advance on the Romans. The Epeirot cavalry have just achieved a breakthrough and will soon exploit the situation. In the second battle of the campaign, at Asculum in 279 BC Pyrrhus deployed with his companions and elephants in the centre flanked by phalangites while the rest of his army extended both flanks. He now aimed to simply cut his way through the Roman centre with the combination of Epeirot phalangites, pachyderms and Epeirot heavy cavalry. The Romans, having selected the battlefield countered with heavy reserves in the centre. In this battle however the Romans were unable to stop Pyrrhus. As dusk settled the Romans had suffered complete collapse of their army and as those few survivors fled north Rome was overtaken by panic. Pyrrhus now marched on Rome his conquest almost complete. Above and below the forces at Asculum. Above the phalanx is seen advancing with Pyrrhus in support while below the refused Epeirot left wing with Italiot hoplites protecting a portion of the phalanx. Rome was now galvanised into action and assembled another army and offered battle in 278 BC. Again Rome selected the battlefield and a now desperate and frustrated consul determined to offer battle near Fregellae, resting his left flank on the walled town. Constrained by woods on his left and right Pyrrhus struggled to fully deploy, especially on his right. Below, the general situation with Fregellae on the right. Undeterred Pyrrhus advanced and progressively attempted to expand his right. It was against the Epeirot right that the weight of the Roman attack came and soon Pyrrhus himself was in the thick of the fighting. His first attack was to drive off the Roman infantry attempting to envelop the Epeirot phalanx, seen below. Unfortunately Pyrrhus’ luck was not to hold. The first disaster was the loss of a portion of his phalanx engaged from the front and enveloped from the flank. Pyrrhus now attempted to stabilise the situation and led his heavy cavalry in another charge. Unfortunately the attack was beaten back and worse Pyrrhus was wounded. The combination was too much and the Epeirot army retired from the field defeated. Above and below, the defining moments of the battle. Clearly the casualties were becoming too great and in the late 278 BC Pyrrhus, having recovered from his wounds, departed for Sicily. As in Italy his arrival in was warmly received by his allies, and with concern by his enemies. The first major battle occurred in early 277 BC near Agrigentum. Pyrrhus, his army reinforced and bolstered by Sicilian mercenaries, faced the Carthaginians on the coast. The Punic commander had selected an open battlefield ideal for heavy chariots and Punic foot. To counter the Carthaginian deployment Pyrrhus’ left rested on the coast and his infantry extended to the right. Again, Pyrrhus deployed towards the centre and between the phalanx. His right was extended by his massed elephants and cavalry interspersed by Sicilian auxilia. The advance of both armies was swift and despite some attempts to adjust to the Epeirot deployment the Carthaginian chariots crashed into the Epeirot phalanx and pachyderms with unsurprising results. Meanwhile, other parts of the Epeirot phalanx, supported by Pyrrhus, pressed ever forward against the heavy Punic foot. The fighting was desperate, as can be seen above, but the Carthaginian army was unable to withstand the Epeirot veterans. As night fell the Carthaginian army abandoned the field. The ensuing months resulted in several great cities surrendering to Pyrrhus. However, as he advanced on Eryx, the last Carthaginian stronghold on the island in 276 BC, the Carthaginians having been reinforced offered open battle. Again, the Punic army was deployed along the coast where it was supplied by the fleet and the terrain was open. The Carthaginian commander this time deployed more traditionally his mounted massed on the left and his heavy infantry extending to the right where a wood provided some protection from a move against the Punic right. Pyrrhus massed his mounted on his right opposite the Punic mounted and likewise extended his centre and left with his heavy infantry and the extreme left with his light troops. Again the armies advanced and soon both would be locked in combat. 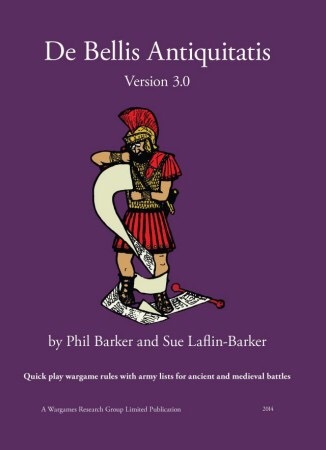 Punic light troops, originally to be used on the Punic right for an attack against the Epeirot left, were hastily moved to counter the Punic elephants but failed to adequately redeploy. Above, the Epeirot army advances while the Carthaginian commander attempts to redeploy a number of slingers to his left. Below the advancing Epeirot phalanx, elephants and Pyrrhus heavy cavalry. Instead, of the pachyderms being engaged with light troops it was the Gallic cavalry who skirmished against the Epeirot elephants while heavy chariots and Numidian light horse attempted to delay the advancing Greeks, as can be seen below. But it was too much for the Punic host and the advancing phalangites, encouraged by Pyrrhus, pressed ever forward until the Punic army collapsed. This week my new Later Hebrew (I/34b) took the field with hopes that they would indeed prosper as described in 1 Kings. As way of background the army has a list date of 968 BC to 800 BC and as such covers the period of King Solomon and his successors in the divided kingdoms of Judah and Israel. The army predominately comprises infantry, modelled as 3Ax, a few light infantry archers (Ps) as well as several light chariots. With a high aggression it promised to be challenging army to use. The army is a recent painted purchase, something I don’t often do these days, with the figures painted and based by Nathan Ward. In the 24th year of his reign King Solomon dispatched an expedition under his son Rehoboam to engage the Egyptians disrupting trade on his southern border. Rehoboam having located the Egyptians, and having avoided a number of Philistine cities, deployed opposite the Egyptian host on a relatively open plain near the coast. In all Rehoboam had at his disposal 200 chariots and some 9,000 foot. The Egyptians, sent by Pharoah Neterkheperre, the Manifestation of Ra – chosen of Amum, deployed some 280 chariots and 8,000 foot. Rehoboam initially deployed poorly, massing too many of his infantry in the marshes on his left. Now as the Egyptians advanced he undertook to redeploy his army and by a series of bold manoeuvres extended his right flank, though trying at the same time to draw the Egyptian left continually forward. However, before he could complete this complicated manoeuvre the bulk of Egyptian chariots attacked. In the swirling dust, thrown up by darting chariots, a number of Rehoboam’s chariots were destroyed. Rehoboam’s remaining charioteers, now outnumbered two to one, fell back. Simultaneous his spearmen, mostly drawn from the tribes of Asher and Issachar, continued to realign to extend the Hebrew right. Above, the disorganised move to the right is illustrated while below the reorganisation is mostly complete. Supporting the Egyptian chariots were a number of Egyptian infantry. Some such as the Egyptian spearmen (4Bd) were significantly out distanced by the advancing chariots. The Sherden (3Bd) however, fighting in a more dispersed formation, had generally managed to keep up with the advancing charioteers. Then, as the dust clouds parted, Rehoboam struck. The Hebrew chariots, supported by 1600 warriors of Issacher surged forward and did smite the enemy. Below, Rehoboam and a group of chariots attack. With the Sherden decimated by the attack a significant gap now developed in the Egyptian line. While reserves should have been deployed there were none immediately available – due to the speed of the initial Egyptian advance. Almost paralysed the Egyptian commander, now more concerned with his own survival, fell back. The followers of Yahweh struck again. The fast moving Hebrew warriors surged forward outflanking many of the Egyptian spearmen and driving them back in disorder. Emboldened with success even the Hebrew archers, lurking in the marshes on the Hebrew left, moved forward pinning the enemy opposite in place and preventing them reinforcing the Egyptian centre which was under unprecedented pressure. However, it was on the Egyptian left that the battle would be decided. As isolated Egyptians pressed forward, and in doing were subsequently overcome, Rehoboam bought his chariots forward. Now sweeping right into the exposed flank of the remaining Egyptian charioteers he secured his victory. The children of Yahweh had prospered and the godless Egyptians had been smitten, much to both players surprise!